It may be too cynical to assume that, in early 21st century western culture, fewer and fewer people know the gospel accounts of the Nativity of Jesus. 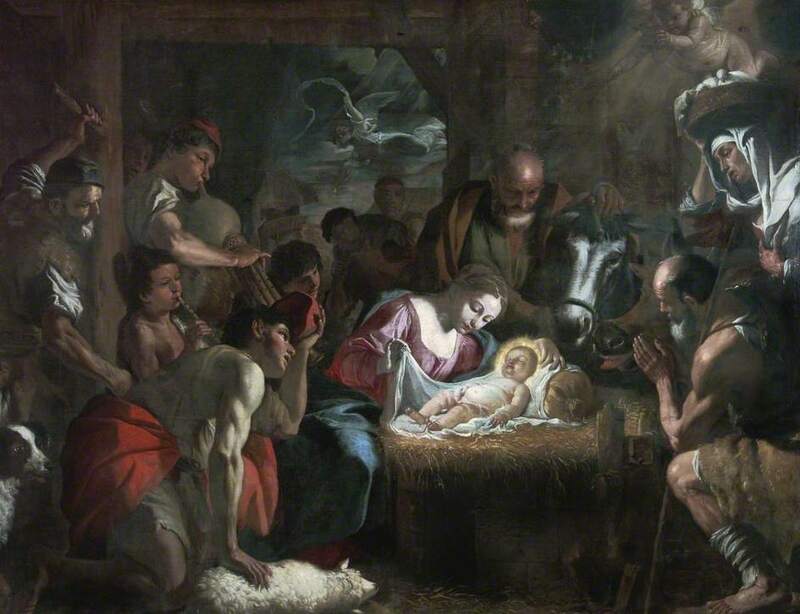 Even in a secular, post-Christian world, we still find images of a poor young woman forced to give birth to her baby in a barn somewhat endearing. The family is surrounded by adoring shepherds and a chorus of angels, and gives us a warm, cosy image to cheer our hearts on cold winter evenings. If this is our entire experience of a Christian Christmas, we are truly missing out! And the Word became flesh and dwelt among us, full of grace and truth; we have beheld his glory, glory as of the only Son from the Father … No one has ever seen God; the only Son, who is in the bosom of the Father, he has made him known. The events that reconciled us to God took a dramatic and irreversible turn when Jesus was born in Bethlehem. The Church teaches us that God is Trinity before all ages. However, His revelation of Himself as Trinity was muted (not silent) before the birth of Jesus. Not only is a baby born to a Virgin; the Second Person of the Holy Trinity becomes Incarnate God. The Incarnation is not only a world-changing event. This moment in history has changed the whole created universe forever, throughout all of time and space. God has taken on human form. He who is uncreated entered creation, and as He did so, gave the potential for creation to become divine. As St John tells us, it is impossible for human beings to ‘see’ God, referring to the Father. St Gregory Palamas describes to us our different experiences of God by differentiating between God’s Divine ‘Essence’ and His ‘Energy’. In His Essence, as God the Father, it is impossible for any creature, including humankind, to ‘see’, experience, or know God. In His Essence, God is totally transcendent. However, at His birth in Bethlehem, God’s Incarnation ushers in the way by which God will reveal Himself in ways which before were totally unknowable. Our Lord Jesus Christ, at His birth, taking on our flesh, creates a way for His Divine Energies to be known. Initially this is by the life of Jesus on earth, then by the work of God the Holy Spirit, whom the Son asks the Father to send. On the day of His Nativity, God the Son has burst through the firmament of Heaven. He has created the possibility of making holy the entire cosmos, a way for humankind to partake in the Divine Energies of God. God sends His messenger, the Angel St Gabriel, to announce the “good news of a great joy which will come to all people”, but to whom does St Gabriel tell this news? He doesn’t choose kings, emperors, high priests or military leaders. He chooses shepherds. This news is for all people, and of course for the rich and the powerful, but it is also for the poor, the despised and the marginalised. Shepherds were social outcasts in 1st century Palestine. Because they worked at night, wandering around outside the city walls, they were seen as unsavoury, unstable, and not to be trusted. And they were the people St Gabriel told. The Incarnation of God is good news for all people, but, as with the entire gospel, the first shall be last and the last shall be first.